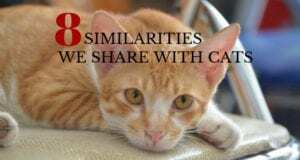 If you medicate your cat, do so separately from the meals. Pills can be hidden in Pill Pockets (a soft treat designed specifically for that purpose). Some medications can be reformulated into a transdermal delivery system so you can simply rub the cream on the cat’s ear tip. If you must pill or administer liquid medication, consider clicker training your cat to accept the process or work on developing a quick, calm method of administering medication with minimal stress. Your veterinarian can help you improve your cat handling technique. Early training to accept having her mouth touched when she’s still a kitten will serve you well as she matures. Even if your cat is an adult you can still do some training to change her association with having her mouth touched or ears handled. Talk to your veterinarian if you need guidance on the best way to medicate a cat. If your cat has been bullied at the food bowl by another pet, then she may have decided that it’s too risky to be in that location. 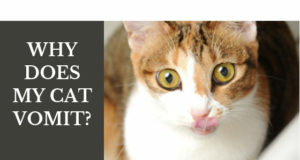 Even just living in a stressful environment can cause a change in your cat’s appetite. Your cat’s mealtime set-up should inspire security and comfort. In a multicat household this may mean setting up more than one feeding location so one cat can’t bully another. Some cats do well being fed in elevated locations to stay out of reach of small children or the family dog. Evaluate your cat’s mealtime set-up to see what improvements can be made to create a peaceful environment. If you feed your cat from a double feeder where food goes in one side and water goes in the other, that may be very unappealing to her. In general, it’s wise to place the water bowl several inches away from the food bowl. Some cats prefer the water on the other side of the room and some may prefer water in a totally separate location from the food. Since you want to always make sure your cat has access to fresh, clean water, it’s a good idea to have several water stations located around the house. You may even want to consider placing a water fountain in one of the locations to entice your cat to drink more. 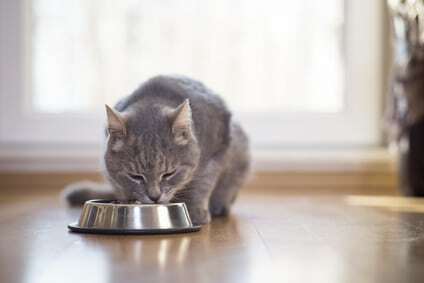 You may have thought it was a good idea to add water to your cat’s dry food to increase her water consumption but the only result ends up being uneaten, soggy food. Additionally, adding water to wet food may change the consistency too much and make it less appealing.